Spotted this group of Grape Hyacinths on a wonderful Spring day. 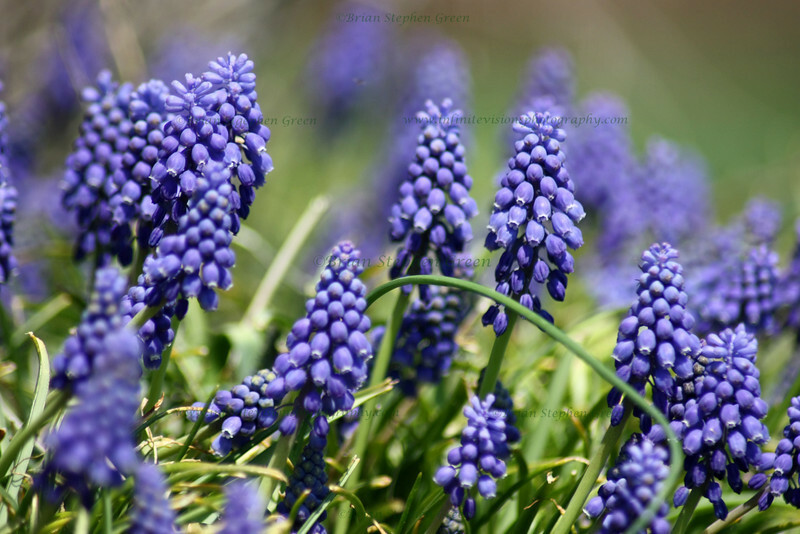 Although called a hyacinth and sometimes incorrectly placed in the family Hyacinthaceae, the Muscari (or Grape Hyacinth) is actually in the Lily family (Liliaceae). Such an interesting bloom, never seen them before. Gorgeous rich color. Nice! Great light and dof! Beautiful shot. They do look like grapes as the name indicates. Love the composition and dof.